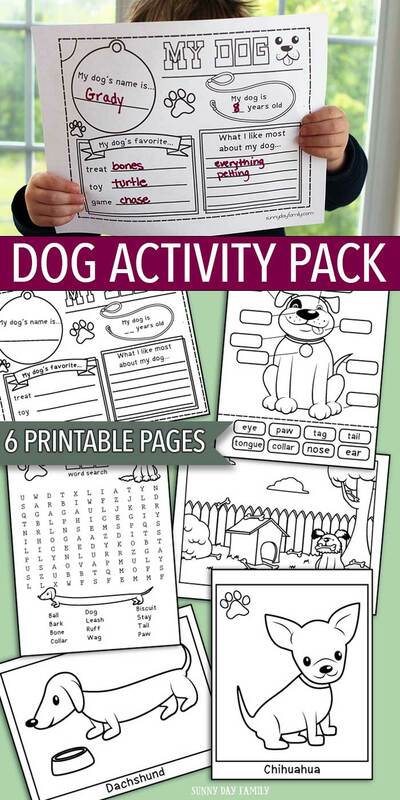 A fun dog printable activity pack for kids including games and coloring pages! It's no secret that we're a dog family. I am pretty sure that my boys love spending time with our two dogs more than just about anyone. So I know when I can give them a game or activity that's all about dogs, it will be a hit. 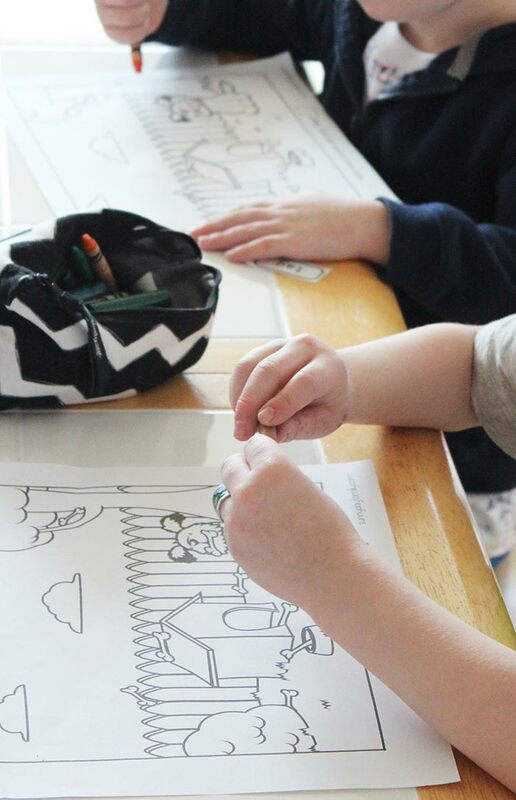 This dog printable pack was a lifesaver for us last week when it was too rainy and cold to play outside, and I know your kids will love it too! All About My Dog - a fun page to write in your dog's favorite things. You can color it too! Dog Word Search - look forwards, backwards, and diagonally to find dog related words. Dog Bone Seek & Find Page - find, color, and count the bones in a fun dog coloring page. 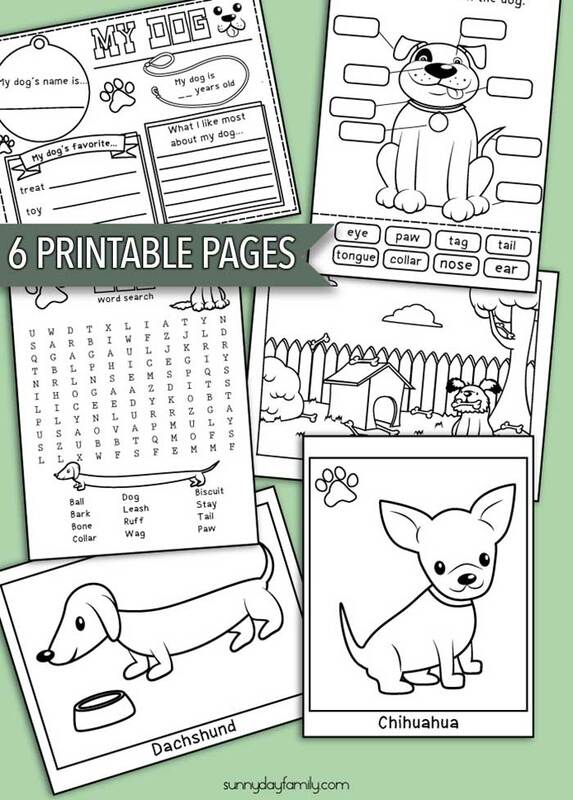 2 Dog Coloring Pages - color and decorate a cute Dachshund & Chihuahua! 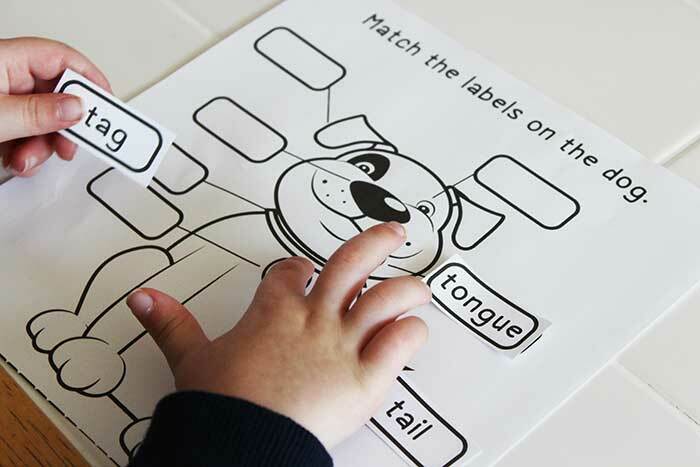 Label the Parts of a Dog Game - cut out the words and use them to label different parts of the dog. Color him in too! Click the Buy Now button to grab yours for only .99! Want even more pet themed fun? Check out my Pets page for more activities and tips on life with kids and pets!